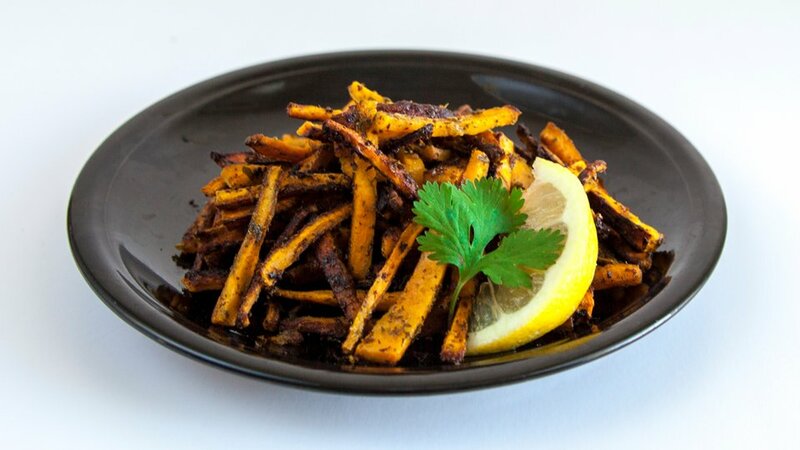 Carb up the right way with these sweet potato recipes. If there's one must-have complex carb you should stock in your pantry and include in your fitness nutrition plan, it's the seemingly humble sweet potato. Depending on how they're prepared, sweet potatoes can satisfy your craving for something savory or sweet without derailing your diet plan. Sweet potatoes are a great slow-digesting fuel for nearly any fitness goal. 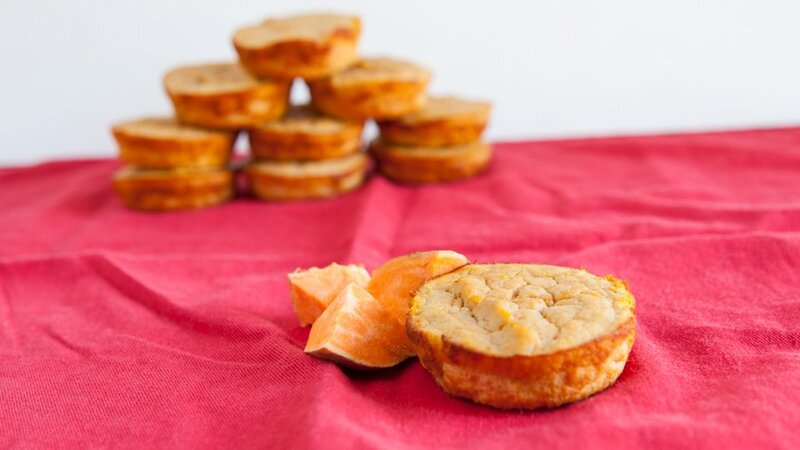 These orange-colored powerhouses promote stabilized blood glucose levels and are rich sources of vitamin A, B, and C, manganese, copper, and pantothenic acid. Take advantage of the sweet potato's myriad benefits and resist the urge to simply microwave it and throw on a slab of butter. Don't become bored with this staple ever again. Try one of these easy recipes that can be adapted to meet your breakfast, lunch, or dinner needs! Skip the cheese-smothered shoestrings and the overly seasoned curly fries in exchange for this healthy alternative. In addition to a unique taste that's sure to awaken your palate, the blend of lemon, olive oil, and cilantro is packed with nutritional value. Cilantro is a good source of minerals like potassium, calcium, manganese, iron, and magnesium, while olive oil provides healthy fats, and lemon helps to cleanse and detoxify the body. 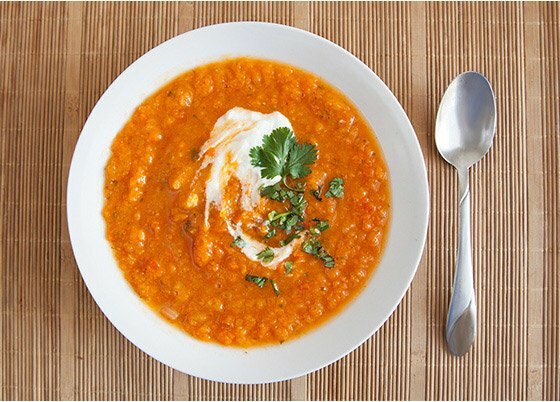 For cooler nights, or at times when you're just craving a hearty dish that goes down easy, think sweet potato soup! 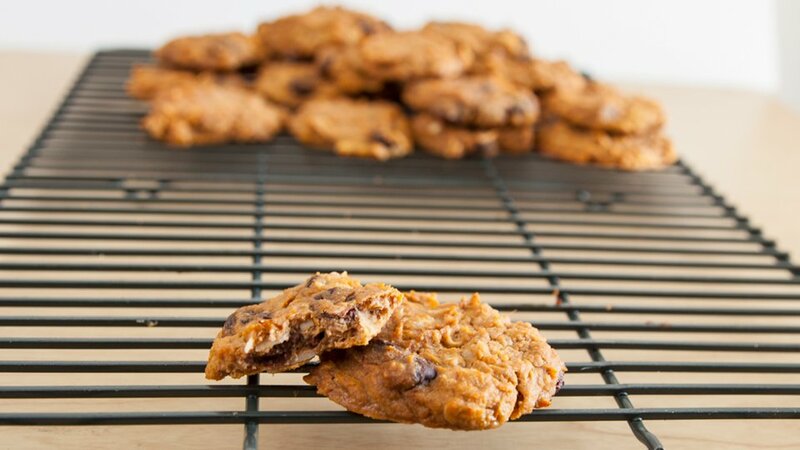 This recipe serves up a nice dose of carbs while still making protein the star. Serve it as a main dish or soothing side, and you'll walk away from your meal feeling satisfied. Have a hankering for something sweet? Think cinnamon! This classic cinnamon and sweet potato combo will surely satisfy your sweet tooth and any cravings you might have. This recipe is especially great for people looking to optimize their blood glucose control; the boost of cinnamon can help maintain stable blood sugar levels, preventing a spike followed by crash. 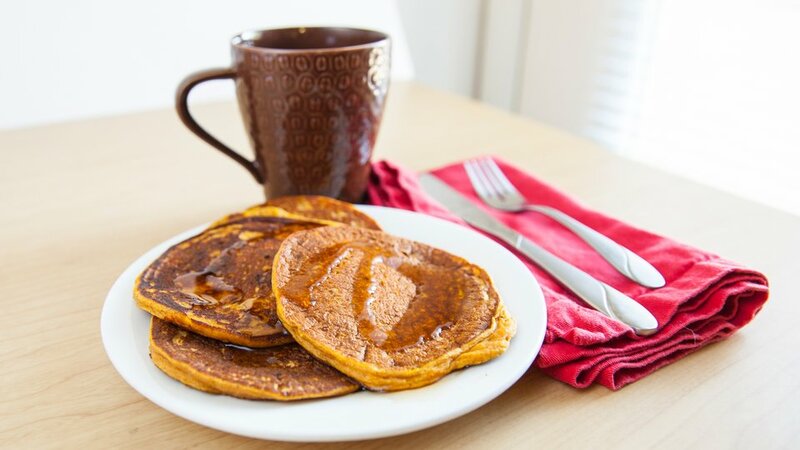 This is your recipe if you're looking for a gluten-free alternative to more traditional pancakes. It's loaded with healthy fats, slow-digesting carbohydrates, and fiber. All you need to do is add a protein source, and you'll be set. Craving chocolate chip cookies? Go the healthy route with this highly nutritious variety! The dark chocolate will offer an antioxidant punch, while the slow-digesting energy from the sweet potatoes will fuel you. This isn't your grandma's banana bread. 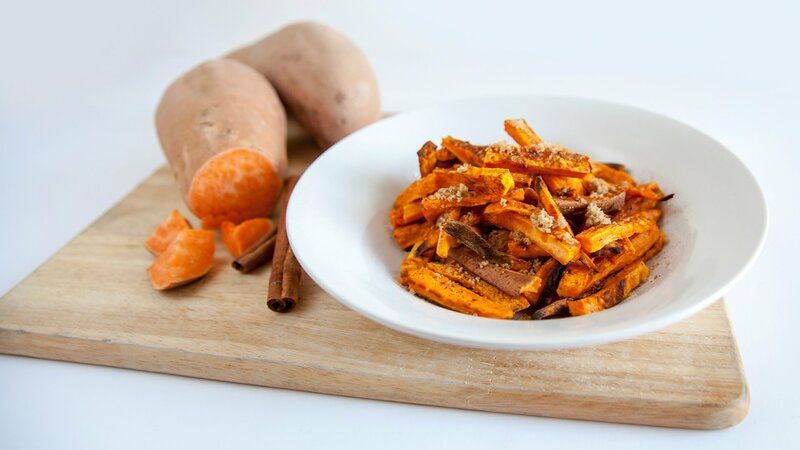 This recipe puts an interesting twist on the classic by adding sweet potatoes to the mix. This helps boost fiber content while slightly lowering the amount of simple sugars. For that extra crunch, add chocolate chips or walnuts as desired. 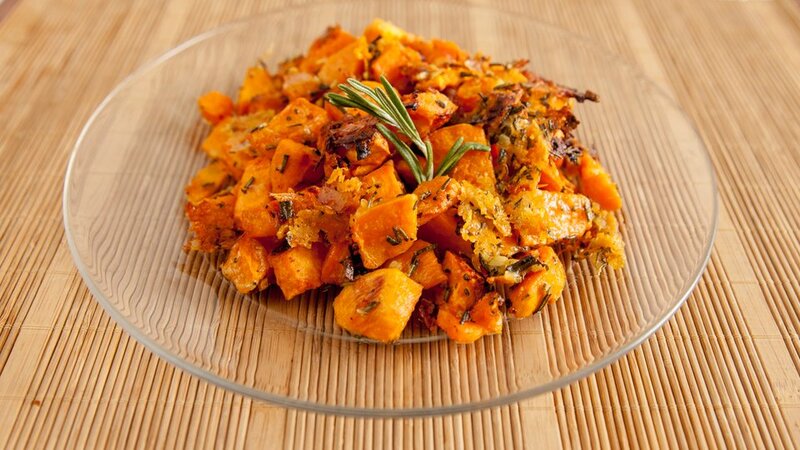 These rosemary roasted sweet potatoes are a sure-fire crowd pleaser and will work great with just about any protein source you choose. The rosemary also has added health benefits. It helps boost your immune system, stimulates digestion, and provides anti-inflammatory support.